Proper shaft alignment is essential to ensure the long life of any rotating equipment, especially a pump. A shaft that is out of alignment can destroy couplings, bearings, waste energy, destroy seals and cause the premature failure of any pump. Tencarva uses easy-laser which is the standard in laser alignment and can provide alignment on site. Laser Alignment reduces vibration levels that dramatically reduce premature coupling and bearing failure. This substantially increases the mean time between repairs of the pump. 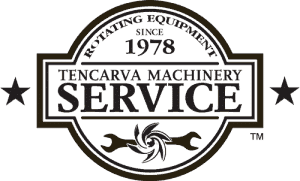 Our highly trained technicians can expertly perform laser alignments and ensure that your pump and motor are aligned to the highest level of certainty.